When building a reseller base for your services, nothing is more important than an easy to use control panel. By choosing a good control panel, you will be able to offer flexible services to your customers that are adaptable and easy for you to manage. This is a great benefit to any hosting provider, and WHMSonic is just one add-on module that will enable you to build resellers and increase your customer base. WHMSonic has a tight integration with cPanel/WHM, and this makes integration super easy for you. Adding a reseller to your empire is as easy as going to the cPanel Reseller Center and creating the package that your new customer would like to use. Resellers have so many options, and licensing software from a reseller allows you to get a better deal and still have all of the same features that you would normally have if you licensed the product through the software developers. Reselling software has become a really lucrative business, and if you are just getting started as a reseller, then offering a couple of different products to your customers is the best way to acquire new business. The more business that you can generate from adding programs like WHMSonic will benefit you in the long run because your customers may come back again in the future for other similar items or to upgrade their control panel or billing system. Since resellers have so many options on which programs to license, it is helpful to know which programs your customers actually want. WHMSonic is becoming increasingly popular as people look to add a more customized feel to their website with music or audio recordings. By offering WHMSonic to your reseller customer base, you can greatly expand your business potential and increase your potential revenue stream. Many web hosting companies and other business niche industries want to find a way to accelerate their business growth and stand out from the competition. In addition to the many features that you can utilize on cPanel, there are many exciting plug-ins like WHMSonic and streaming Auto DJ to enhance your virtual environment and allow you to offer more to your customers. WHMSonic gives you the ability to stream live audio to your websites and use the revolutionary AutoDJ to customize streams with your own intro messages, playlists, and backup files on the fly. The WHMSonic plug-in allows you to create your own Internet radio station to stream from your website. The AutoDJ system for WHMSonic gives you unlimited bandwidth and playlists as well as Shoutcast DNAS. You can support all media players with the WHMSonic AutoDJ System, and since the features allow you to customize your streaming radio and playlists, you can have multiple radio streams that play different genres of music at the same time. WHMSonic with the auto DJ streaming feature are bursting with features and functionality so that Shoutcast can provide Internet hosting providers and resellers with a way to offer new services to their customer base. Streaming audio has never been easier to integrate into your existing cPanel control panel. The Auto DJ streaming on WHMSonic will give you the best features to add customized streaming Internet radio directly to your website. If you are looking for a way to spice up your existing website and offer a more exciting virtual experience for your customers, then adding WHMSonic and AutoDJ to your cPanel system will give you the opportunity to customize and create your own playlists and play streaming music of different genres directly on your websites. With WHMSonic and cPanel, you will have the latest technologies at your fingertips to help get your started quickly and easily using this exciting auto DJ streaming service. Whether you run a small or large web hosting company, you can diversify the content that you give your clients by applying the WHMSonic plug-in to your control panel. The benefits of adding streaming audio to your server are manifold because a lot of people enjoy listening to Internet radio and listening to information regarding a business via an audio recording. 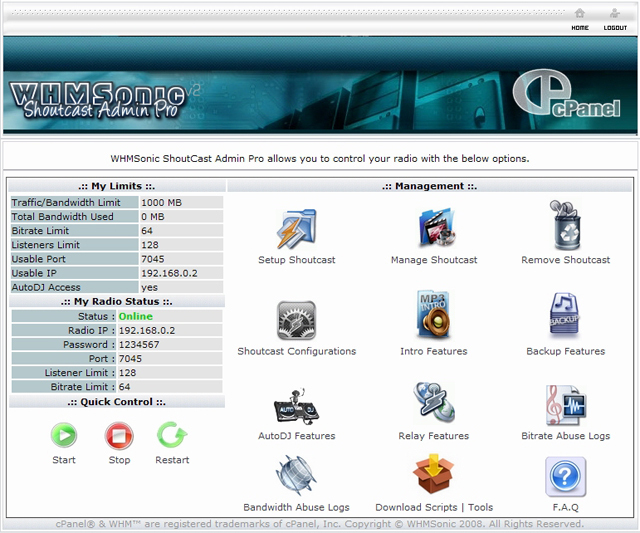 MP3 files and Internet radio can be streamed directly to your websites if you add WHMSonic to your cPanel control panel. Licensing cPanel offers you a number of advanced features to choose from when creating your own customized control panel. There are a number of different applications and auto-installers that you can use on your cPanel software to upgrade your features and integrate new technologies into your system. The best thing about integrating WHMSonic into cPanel is that you can create your own Internet radio station for your viewers to enjoy. This can be anything that suits your website and may help draw in and attract more traffic to your site. 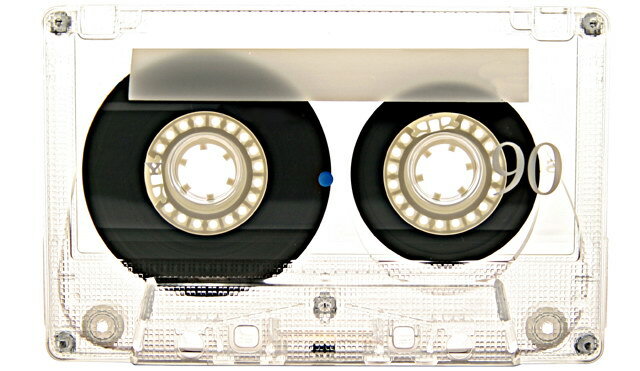 Streaming audio can give your website a more complete virtual experience. 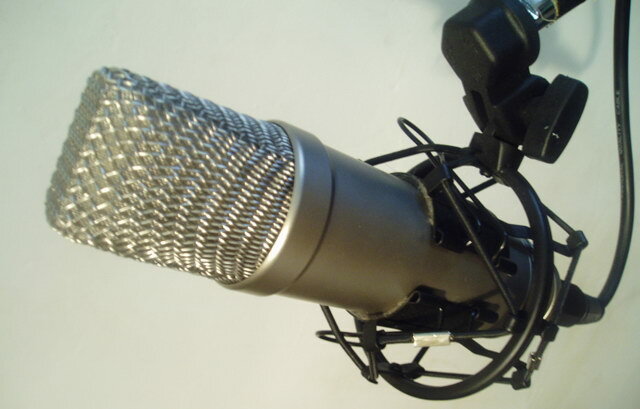 Audio streaming will let you capitalize on the market trends that indicate that Internet radio is a profitable business opportunity. 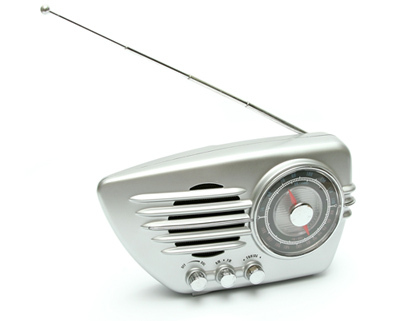 Many people like to listen to streaming Internet radio because there are fewer interruptions and the connection is stronger than on some other mediums. Adding WHMsonic to your cPanel will give you another feature to offer to customers and to use on your own websites. You can maximize the productivity of your business by taking advantage of market trends and offering customers an enhanced virtual experience. Streaming audio with WHMSonic is supported by a number of audio players so you won’t have to worry that the system won’t be compatible with your viewers. After you begin licensing your cPanel, you can quickly and easily apply the WHMSonic plug-in directly to your control panel to enable streaming Internet radio.